This privacy notice explains why we as a Practice collect information about our patients, what we collect and how we use that information. Budleigh Salterton Medical Centre manages patient information in accordance with existing laws and with guidance from organisations that govern the provision of healthcare in England such as the Department of Health and the General Medical Council. The health care professionals who provide you with care, maintain records about your health and any NHS treatment or care you have received (e.g. NHS Hospital Trust, GP Surgery, Walk-in clinic, etc.). These records help to provide you with the best possible healthcare. Information may be used for clinical audit purposes to monitor the quality of service provided and may be held centrally and used for statistical purposes. Where we do this, we ensure that your personal information cannot be identified. Sometimes your information may be requested to be used for clinical researchpurposes – the practice will always gain your consent before releasing the information. CCTV is not currently used. The recordings are stored within our telephone system. Risk stratification is a process for identifying and managing patients who are at high risk of requiring emergency or urgent care and planning the management for that patient. Typically this is because patients have a long term condition such as COPD, cancer or other medical condition at risk of sudden worsening. NHS England (the national Commissioning Board) encourages GPs to use risk stratification tools as part of their local strategies for supporting patients with long-term conditions and to provide care plans and planned care with the aim to prevent avoidable admissions or other emergency care. 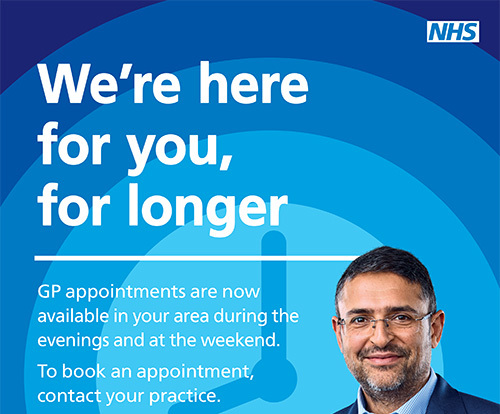 Information about you is collected through the clinical systems from a number of sources including NHS Trusts and from this GP practice. A risk score is then arrived at through an analysis of your de-identified information using software provided by NHS North East and West Devon CCG as the data processor and is provided back in an identifiable form to your GP or member of your care team as data controller. Should you have any concerns about how your information is managed or wish to opt out of any data collection at the practice, please contact the practice, or your healthcare professional to discuss how the disclosure of your personal information can be limited. Information such as your name, address, GP practice and date of treatment may be passed on to enable the billing process - these details are held in a secure environment and kept confidential. This information will only be used to validate invoices and will not be shared for any further commissioning purposes. If you would like to make a ‘subject access request’ please contact the practice manager in writing. We will not charge you for making a subject access request although an admin fee may be charged if a request clears has no basis in fact or excessive and/or repetitive. In the majority of circumstances, a request will be completed within one month of receipt. Any changes to this notice will be published on our website and on the practice notice board. Any changes to this notice will be published on our website and displayed in prominent notices in the surgery.